Not everyone is fortunate enough to start their card counting careers with a large bankroll. A small bankroll is one of the most common factors holding people back from taking their card counting career seriously. I can relate… I started with $2,000. 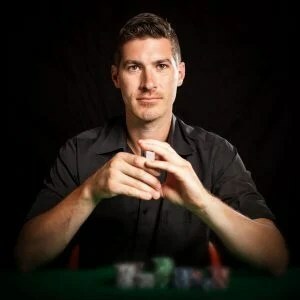 But, I hustled like crazy to quickly grow that nest egg into a large enough bankroll to begin counting cards for a living, and I’ve never looked back. 1. Freebies (Matchplays/Free slot play/Promo Chips, etc) – Casinos are constantly giving out freebies to get you in the door. The EV might not be phenomenal for a $10 matchplay (worth about 40-80% of face value), but the risk is REALLY low. I once knew a guy who got into card counting because a local casino sent out a $25 matchplay in a local newspaper every day. He (and his girlfriend) would go twice a day and each use the matchplay. Within a couple months, they had generated enough EV to buy an inexpensive car and start their first blackjack bankroll (they went on to win enough money counting cards to retire to Europe). One of the things that really got my first small team from amateur to professional was making $10,000 off of $5 casino swimsuit calendars… each calendar had loads of matchplays and “free Ace” coupons on the back. 3. Only WONG In – On the average blackjack game, everything below a true 1 is negative EV. If you don’t have much money to play with, avoid negative EV all together by back-counting and wonging in at a true 1. This will lower your risk and variance and increase your EV. It’s tedious, but it’s one of the smartest ways to keep your risk low on a small bankroll… let the suckers play when the casino has the advantage. 4. DON’T TIP– I shouldn’t even have to say this, it’s so obvious. But I’ve known many card counters tip away their entire advantage. You just won $100, so what’s a $10 tip? Possibly your entire EV for the last hour! If you’re there to make money, you have to make smart business decisions. Let the players who are there to spend money take care of the dealer. If you have a large enough bankroll can afford to tip the dealer $5 here or there, go for it. But you don’t want to shoot your career in the foot by flippantly giving away your hard earned bankroll money. 5. Don’t Play at all until you can beat the game– I know it’s tempting to test your skills at a real blackjack table. But it’s wasted money if you don’t have everything perfected. And when you DO start playing at a real game, it recommended that you start small. Your goal isn’t to win money yet. Your goal is to get awesome at blackjack. Many casinos have $2 or $3 tables during the daytime. And don’t focus on the size of your chips, but in making every playing decision correctly, counting every card correctly, and making proper bets and deviation decisions. 6. Save up for it! – Ok, this option is really boring but it’s important. Don’t be the guy who’s perpetually “building his bankroll” to start counting cards professionally. Save your money, and when you’ve got enough saved up and your skills are sharp, go for it! It’s basically universal that card counters are cheapskates. We don’t waste money, and we use the money that we’ve saved to make us more money. My wife and I lived off of her meager income for the first 6 months of my card counting career. But that allowed us to grow my $2,000 bankroll into a $50,000 bankroll in 6 months. Consider passing on the new toys and eat out less so you can put aside a few hundred bucks each month towards a serious bankroll. 7. Team up with another card counter– I admit this one is risky. If you team up with someone who is more skilled or less skilled than you at card counting, it’s going to be a bad team. But if you have a friend who you trust 100%, and you are 100% trustworthy, consider training together, pooling your resources, and making a go of it! When I put my $4,000 bankroll together with Ben’s $7,000, we were each able to bet off of a $11K bankroll! That meant we could each bet more, generating more EV/hour. As we both won, our bankroll grew twice as fast! Again, it’s more important to team up with the RIGHT person. But I’ve always benefitted financially and relationally by playing off a joint bankroll with close friends. There you go! I’m sure there are even more ideas if you learn to think outside the box, take advantage of ways to leverage the casino’s money, and DON’T waste yours! Actually, I don’t care if you want to waste your money. Just don’t complain that you don’t have enough money to take card counting seriously. Because if there’s a will, here’s seven ways! 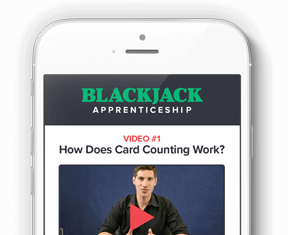 A complete blackjack card counting system designed to teach you how to beat the game of blackjack for big profits.